1. Plan ahead. Seniors need time to get used to the change. Give time to adjust to the idea of moving. Don’t try to push or move them too fast, as this could end up putting more stress on everyone involved. 2. Take pictures. 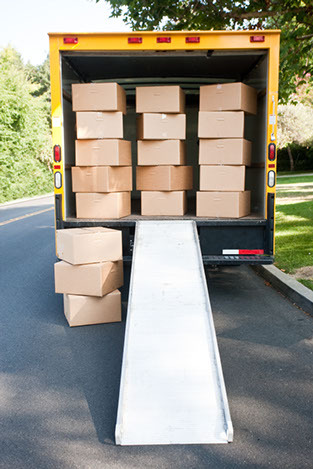 It is likely that the senior that you are helping move has been in their home or dwelling for a long time. There are lots of memories locked in the walls that they are leaving. To help them remember, and feel better about leaving the home, take pictures that they can keep forever. 3. Plan a layout for the new residence. Most seniors do not like change, and it might be difficult for them to come to terms with a whole new layout of their home. To help ease this stress, obtain a map or layout of their new home and allow them to plan out where everything is going to be placed. 4. Hire movers. Getting the right help is important when your parents or other senior who is close to you is moving. Chances are there are more things to move and take care of than you might realize, and having the help of professional moving companies can really be a lifesaver. Senior moving specialists are available to help with all aspects of a move. 5. Give them tasks. It’s vital that you get the senior involved with the move as much as they are able to be. If you can, take them to the new home and allow them to get acquainted with the area where they are going to be living. 6. Where to start. It is best to find a room or area that is not something with great sentimental value. Bathrooms are great areas to start, and they can generally be packed and ready for the move within a couple of hours. 7. Give them space. It is important that you give a senior some space and time when they move. You want them to be stress free, and if they find pictures or other items that evoke emotions, then you should allow them the time that they need to deal with these items. Be sure to listen to their stories, as they might have some insight that you will not find anywhere else. 8. Pack a box the night before. In a special box, pack the items that the senior will be in continuous need of during the move so they are easy to find. This includes medications, toiletries, medical devices, etc. 9. Get a good night’s sleep. The senior really needs to get a good night’s sleep before moving the next day. If well rested, the senior is better able to deal with the emotions of the move. 10. Eat, hydrate, and medicate. On moving day, don’t let the senior forget to eat, drink water, and stay on schedule with their medications.